Publisher's Summary:Seth wants to be with Aislinn forever. Forever takes on new meaning, though, when your girlfriend is an immortal faery queen. Keenan stole Aislinn's mortality to make her a monarch. Now she faces challenges and enticements beyond any she'd ever imagined. 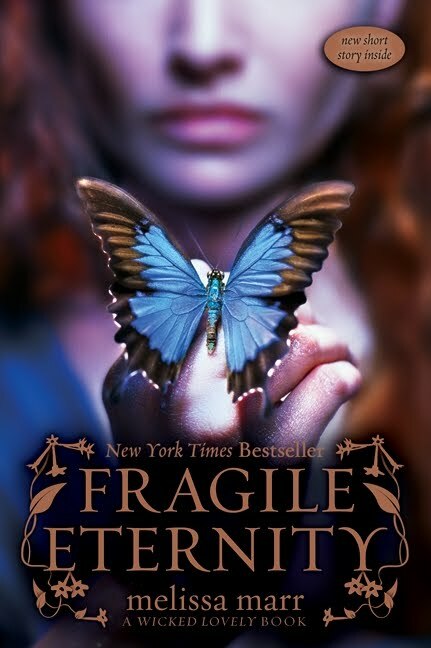 In Melissa Marr's third mesmerizing tale of Faerie, Seth and Aislinn struggle to stay true to themselves and to each other in a milieu of shadowy rules and shifting allegiances, where old friends become new enemies and one wrong move could plunge the Earth into chaos. My TakeI wasn't sure how to rate this book because because I had a really hard time reading it and I almost gave up. The first half really drags. It is also too much drama that I can handle (I can't stand the stupid love triangle - no wait more like love square). I lost a lot of respect for almost every character in these books. The last half of the book is the only reason I would consider giving this book 3 stars because it focus' more on Seth (my now favorite character). I don't like how weak Ash is in this book. She is so strong in the first book and it is almost as if turning into a Faery makes her a weak, frail and unbalanced. Keenan...I can't stand him, how is he a Summer King? Donia is so weak and emotional that she doesn't deserve to be the Winter Queen and why is she stabbing Ash? She should be stabbing Keenan! I could go on. All I really care to know is if Ash will take Seth back. If she makes him wait too long then she doesn't deserve him.